Tense shows time .naturally we all understand the role of time in our life. In our general life, as we speak the words today , yesterday , tomorrow , in the same time way today means present, yesterday means past and tomorrow means future. Thus there are three types of time i.e . When we communicate in Hindi we hardly commit mistakes but when it comes to talk or write in English, we often commit mistake in tenses. The reason of these mistakes in tenses is only this, we are least bothered about the role of time when we communicate in English. For this, I would recommend that one should be careful while making sentences and bring the correct tense in the sentence. Al though it is a natural concept, there is no role of the English Grammar as such, either it is Hindi or English so one should be able to grab it oneself. As it is a very common and simple concept. Helping verbs: These are such words, They describe or help in denoting the time of an action, when that action actually takes place. Sentences in which we only show thing or represent things are called simple sentence. In such sentences there is no verb (action). Only a representation is there. So as per the understood time, we should use the helping verbs. To denote things we use the helping verbs in the following manner. 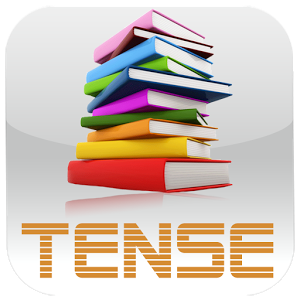 Explanation: Now in above sentence, we can easily notice the role of time (tenses). In all of the above sentences, we have only shown a book nothing else. No verb is available We should notice the time in a sentence and accordingly we should use the helping verbs. It will be a nice deal. They are active in their business activities. We are not for sure about it. They were not available in the office. They will be present there. Amit will be a manager in the company. You will be lazy in your work. Note : notice all these sentence, there is only representation. No acting (words) is described, thus as per the time we should we the helping verbs. There are two aspects of every coin, i.e Head or tail. The answer of any question can be either yes or no. So continuous sentences are such sentences in which the work is going on. We always use ‘ing” form in continuous sentences. It is common in all the tenses (present, past, future). In perfect sentences, work is always completed. In these sentences we always use third from of verb. The usage of third from is common in all the sentences whether it is in present, past or future. So it is very clear from the above description that if we understand the meaning of continuous and perfect, making sentences is quite easy. Thus the gist is that we should understand the state of an action either it is going on (continues) or done (perfect) and then we should relate this with time of action. Leaning tenses with action in this way seems quite easy.